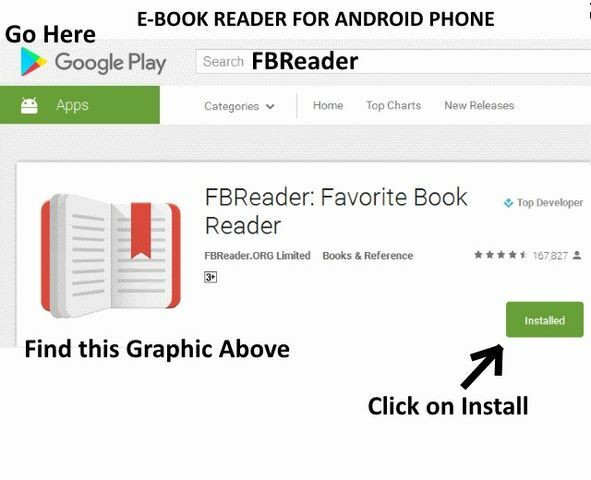 Mama Says Free Books, and you need to download an App from Google Play Store, we recommend FBReader. Here is list of e-book readers for an Android Phone. 4. Check to the description. 5. Click on install and follow directions. 2. Plays Mobi and Epub books. 3. We will only be giving away free Mobi books, no other formats.